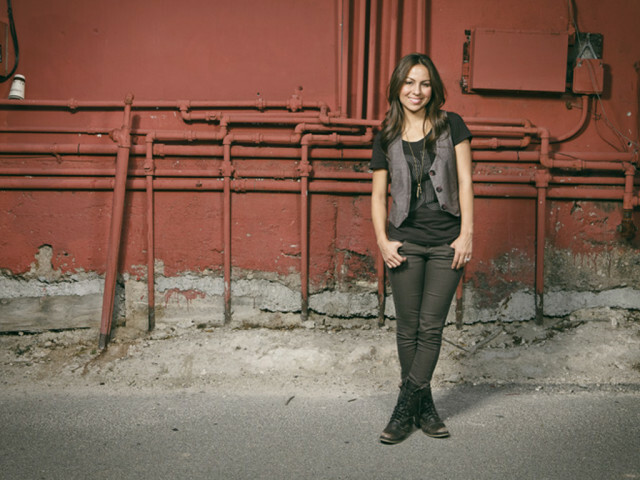 Anjelah Johnson was born and raised in San Jose, California and is of Mexican and Native American descent. She is one of five children and has a large extended family that she remains close to. In the beginning of her career Johnson was a professional cheerleader for the Oakland Raiders. As an Oakland Raiderette, she was named Rookie of the Year and even performed in Super Bowl XXXVII. After that year she decided to move to Los Angeles to pursue her dream of acting. She became an internet sensation with her viral video “Nail Salon” which led to many stand up and performance opportunities. That same year she joined the cast of “MADtv” as a series regular, which spawned another internet sensation “Bon Qui Qui.” This original character, a disgruntled fast food employee with no filter, has been enjoyed, viewed and replicated by over fifty-five million people worldwide. Recently, Anjelah recorded and released a full length rap song and music video as Bon Qui Qui with more tracks in the works. The song and the video are currently available on iTunes. Anjelah has appeared in multiple ads & commercials including campaigns for Sprint, Visa, Snickers, Verizon, All-State, K-Swiss, Dryers Ice Cream and she is currently the spokesperson for a Texas based restaurant chain, Taco Cabana. As well, Anjelah has guest starred on shows such as The Shield, Ugly Betty, Curb Your Enthusiasm, and others all while traveling with her stand up comedy. In June 2009 Anjelah recorded a one-hour special for Comedy Central and Warner Brothers Records. A second special is set to be released from her hometown of San Jose, CA this year. In 2010, Johnson starred in “Our Family Wedding” alongside Carlos Mencia, Regina King, and Oscar winner Forest Whitaker. She played the feisty sister of America Ferrera in this hilarious comedy which shows the perils and joys of combining families. Johnson can also be seen as a live action character in the film “Alvin And The Chipmunks: The Squeakquel” alongside Jason Lee and the voices of Justin Long, Anna Faris and Amy Poehler. Anjelah then leant her voice for the animated film “Marmaduke” along with Emma Stone, Owen Wilson and Jeremy Piven. Currently residing in Los Angeles with her husband Manwell Reyes of the band Group 1 Crew. Anjelah continues to act and tour the country with her sold out comedy shows. Check out her calendar to see when she’ll be visiting a city near you!